Jill Velasco will hold a colored pencil flower workshop on Feb. 24. Artists looking to sharpen their skills will soon be able to do so close to home, thanks to Westbury Arts’ fine arts workshops for adults. Classes, which will be available in a variety of genres including jewelry-making, ceramics, painting, drawing and jazz improvisation, will be led by Westbury Arts’ members and experienced instructors and appeal to artists across a range of skill levels. Lyon said that hosting workshops for artists has been on Westbury Arts’ agenda since their inception in 2013, but since the nonprofit doesn’t yet have their own facility, it was put off. But they soon decided to go-ahead with the plan, coordinating with local venues, such as the village recreation and community centers, to hold the workshops. Artists and instructors made suggestions for workshops they would like to hold, with precedence given to ones that fulfilled the organization’s mission of promoting arts and culture. Classes, for those 18 and older, are currently scheduled through April, with more being planned. Those who would like to lead a class can sign up at www.westburyarts.org/workshop. Feb. 1 and 8, from 10 to 11:30 a.m. The Faux Wood Block Printing workshop uses craft materials to introduce the art of printing that will result in an image that looks like a woodcut, without the expensive tools and need for band-aids. A fun way to learn about a traditional art form and exercise your creative muscles. This class involves the use of flat coils in the construction of a clay piece but also incorporates them as an important decorative element. Students will explore the use of texture, line, color, form and shape in the overall design of the piece. Feb. 17, from 2 to 5 p.m.
A workshop to introduce students to working in 3-D. Students will create their own 3-D picture. 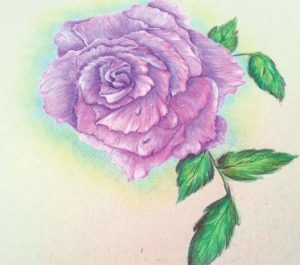 Feb. 24, from 9 a.m. to 3 p.m.
Students will learn how to utilize colored pencils to create a vibrant and life-like floral drawing. Working from a reference photo that will be provided, students will focus on transferring and drawing their image and working layer by layer with colored pencils to achieve realistic qualities on petals and leaves. We will incorporate other techniques to give our drawings 3-dimensional qualities. Previous experience in drawing is recommended. Students may wish to bring lunch or a snack. March 1, 8 and 15, from 6 to 9 p.m. This workshop will teach the artist how to draw, paint, and do all art telling a narrative. The instructor will work with each student individually to help instruct and critique work in class. The class will go over the basics of drawing, perspective and composition with lessons on how to use story boards for your art, using ink to help make your work flow more and using backgrounds to help tell the story. 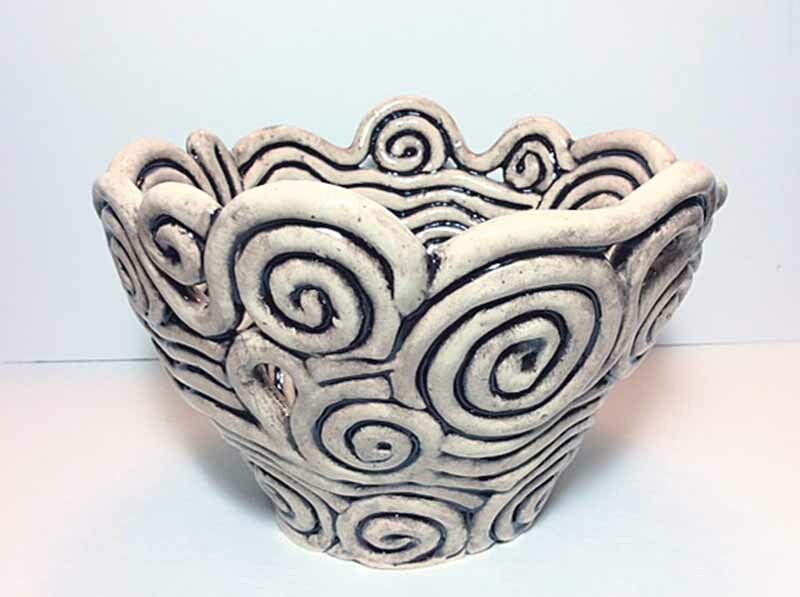 Create a ceramic piece using the slab method to hand-build your piece. Pieces will involve decorative elements involving stamping and incising in order to create your own individual design and unique piece. There will also be a historical background on the slab method of hand building as well as the use of stamps and incising. March 24, from 2 to 5 p.m. This workshop introduces attendees to the history of the traditional fabric of Indonesia, Batik. 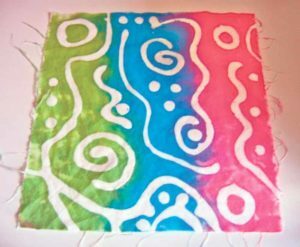 Batik is a “resist” process for making designs on fabric. Attendees will learn a bit about the designs and tools that are used to create Batik, then will use everyday materials to create their own swatch of fabric using the resist technique. March 31, from 2 to 5 p.m.
A hands-on approach to using your musical instrument to improvise, or rather spontaneously compose melody, rhythm and sonic texture in a group context focusing on deep listening, interplay, defining a narrative/accompaniment model, concurrent interplay and form/section description and examples and how this relates to your specific instrument. Models will be from the expanded jazz tradition as well as world music sources. 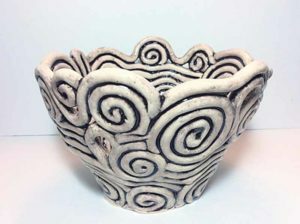 This class involves the use of round coils in the construction of a clay piece but also incorporates them as an important decorative element. Students will explore the use of texture, line, color, form, space, and shape in the overall design of the piece. The open areas in the piece will react with the surrounding areas. There will be historical background given on hand building and the various different ways coils can be used in the design and construction of a hand-built piece. Find out more about pricing, instructors, materials and how to register at www.westburyarts.org/workshops.